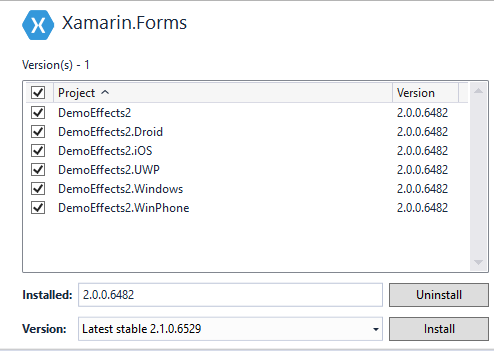 Xamarin Forms are getting better with each new release, version 2.2, actually in preview, includes new interesting addition like Effects and CarouselView. CarouselView replaces the now deprecated CarouselPage with a more flexible control that can be embedded in any page and can have any size you want, being curious I wanted to see it in action. 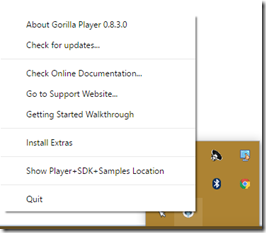 I created a new Xamarin Forms project and updated all projects NuGet Packages to version 2.2.0.5-pre2 (you have to select “Include prerelease” option to have it listed since, at the moment, it hasn’t officially released yet. 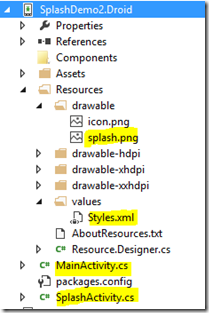 Great, but we’re missing something: The ItemTemplate. but since I want to use a different template for each page I decided to use another recent addition to Xamarin Forms: the DataTemplateSelector, so I created this class that inherits from abstract DataTemplateSelector. 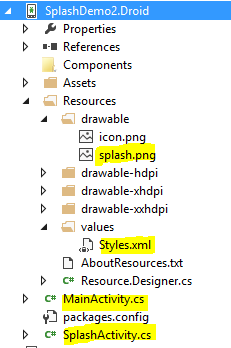 So simple that don’t think it requires a detailed explanation, it just returns proper DataTemplate depending on the name of ImageUri, ok, not very professional but this is just a demo right? 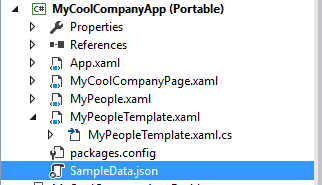 From the xaml you’ll immediately recognize the two (simple) DataTemplates, the custom DataTemplateSelector , how it gets associated to CarouselView ItemTemplate but if you look closely you’ll also recognize a nice addition to Forms v2.2: Margin property! 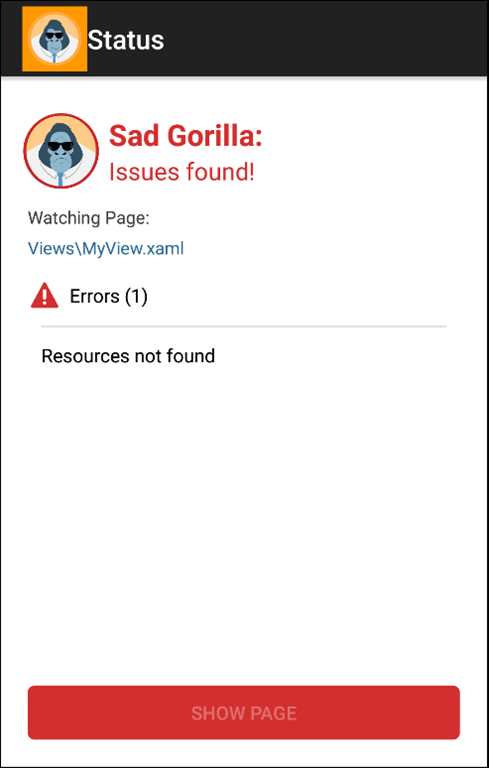 Yes we can now stop using nested views with Padding to fine tune control position inside a Page, well done Xamarin! 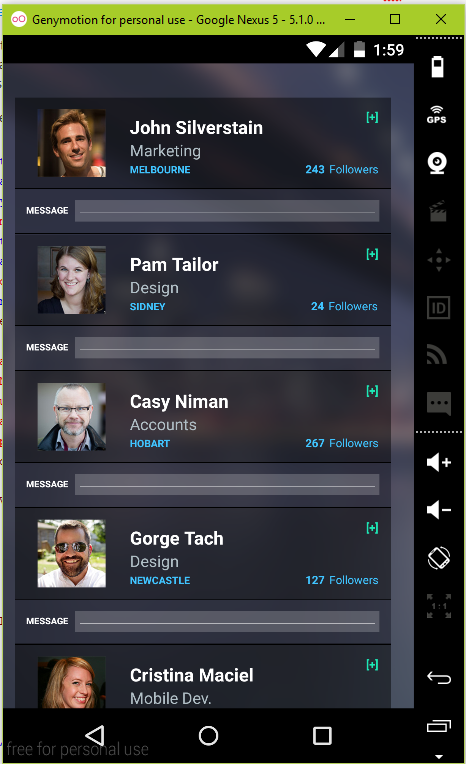 CarouselView is a great new entry, in special case if you want to create applications based on sliding views (quite common today) there’s just one feature I miss: Orientation, at the moment looks like you can only slide horizontally, hope Xamarin will consider it for final release. 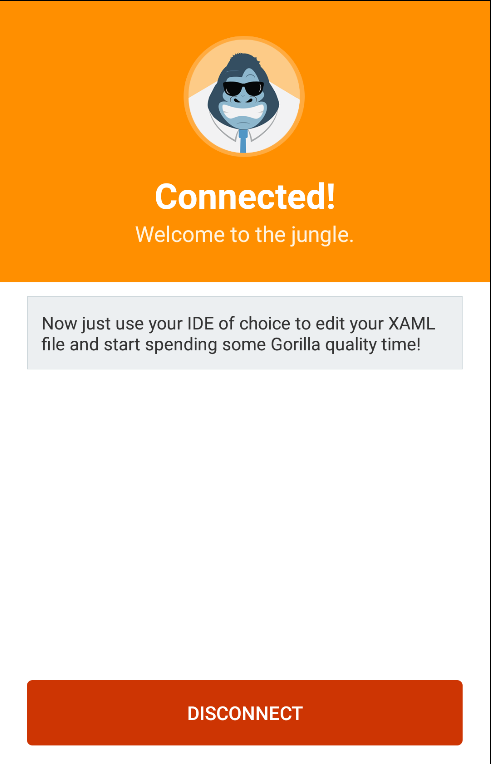 Every Xamarin Forms app should ship with a splash screen, it is the first thing a user see and it contributes to reduce the perceived application boot time. Adding one is quite easy, let’s go from simpler to harder. 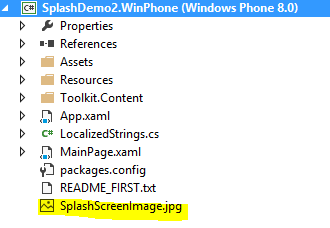 Just replace SplashScreenImage.jpg (720×1280 pixels) with your own app launch image in the Windows Phone project and you’re done. If you follow iOS documentation you’ll know that adding your own launch screen is just a matter of adding the proper images to the project via info.pList options. 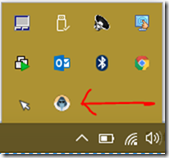 6-Remove the MainLauncher=true from original activity since this is the new activity that will be launched at startup. 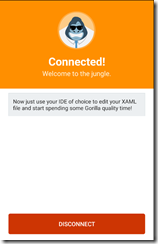 Back in September 2014 I blogged about adding application wide resources to Xamarin Forms applications, that technique is no longer needed since starting from v 1.3 Xamarin added support to app wide resources into Xamarin Forms core. So what it this post about? 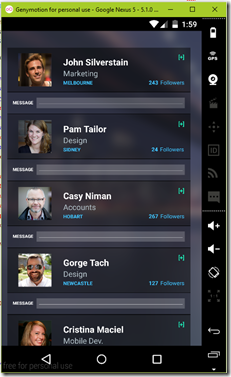 It is about adding (and using) them in a more user-friendly way. 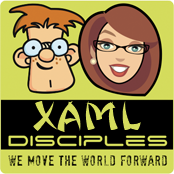 <Label Text="Hello from Xamarin Forms"
Ok, It works but is not very friendly, resource name is not listed in XAML Intellisense (powered by Resharper of course) and as XAML lover I’d like to define my application resources in XAML the same way I do in a page. 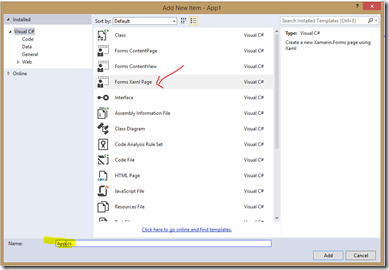 Hope to see this feature added to Xamarin Forms template soon. 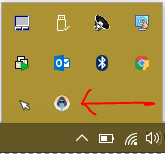 The reason for this is that, in order to prevent conflict with Xamarin API I’ve renamed the root namespace so upgrading to this version will break your code and I’m really sorry for this, but I’m sure it won’t take too long to fix it. 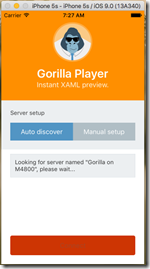 Version 2.0 uses Xamarin Forms 1.3.4 and Unified API project as iOS demo. 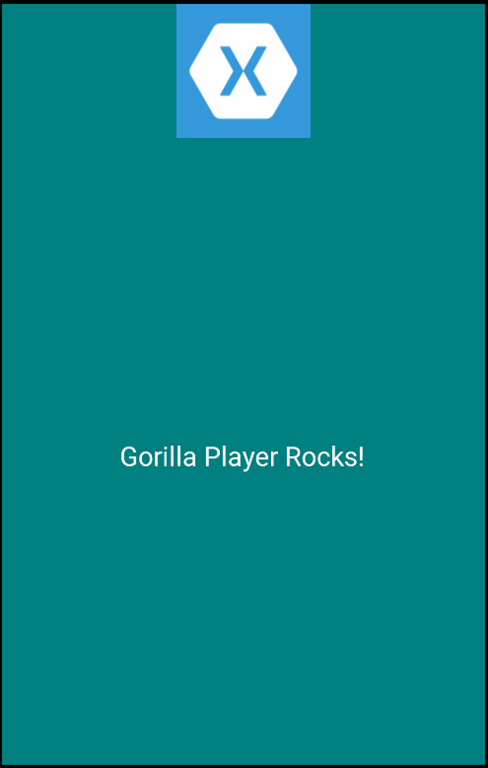 Sorry for breaking your code, my fault using Xamarin as assembly name (lesson learned), honestly didn’t expect such success, and I thank you for that. Last week I introduced some ISV to the wonderful world of Xamarin and while discussing Xamarin Forms a few of them asked how to get an identifier that uniquely identifies a device. I had the same issue in the past with a Windows Phone application so I know how retrieve it on this platform and I remember speaking with the guy that was working on the same app for iOS that he told me that Apple changed the policy so the API that was used in the past was no longer available and he had to find a workaround, more on this later. 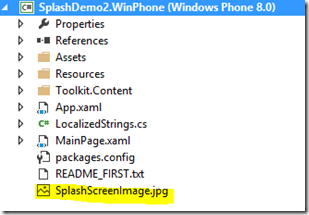 Let’s now implement device specific code, starting from Windows Phone, add this class to Windows Phone project and add ID_CAP_IDENTITY_DEVICE capability. And now the hardest part: iOS developer used to get device identifier using Device UniqueIdentifier api but this has deprecated by Apple so an alternative has to be found. 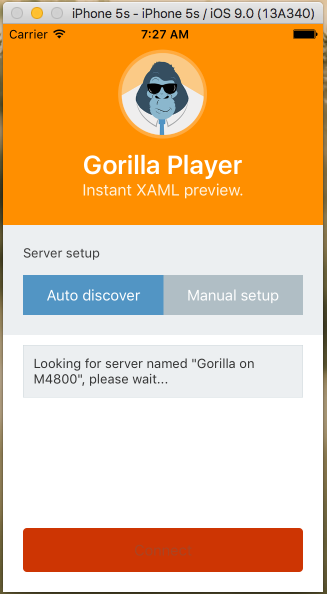 After some investigations (also considered generating unique id at startup but this would fail if app is reinstalled) I found this post on Xamarin forums so kudos goes to the original author. And you’re done, have fun and make a good use of device unique id. 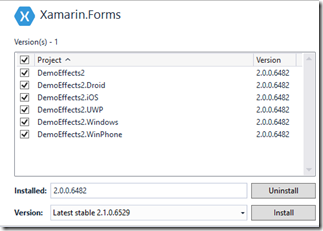 This Xamarin Forms snippets shifts a button left when clicked and restores it back when dialog is dismissed. 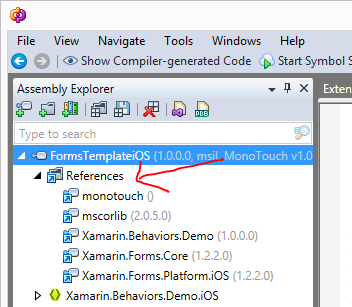 The workaround is quite easy: use LayoutTo instead of TranslateTo, following code works on all platforms. 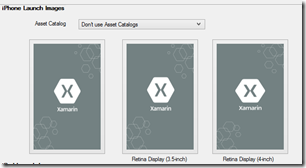 While Xamarin Forms have a rich set of controls (a.k.a. 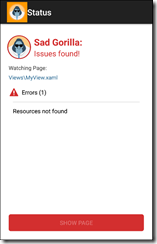 Views in Xamarin documentation) sometimes you need to create something that is an aggregate of existing controls plus custom logic. 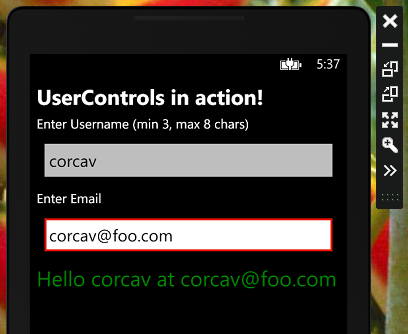 For this requirement the Windows platform provides you a UserControl that is a surface where you can drag the controls that make up the UI and write related logic within it. 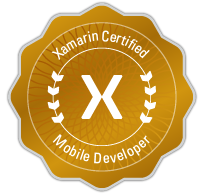 This seems to lack on Xamarin Forms at the moment. Lat’s say I need to populate a list of Entries whose content has to be validated and if not valid a feedback has to be provided to the user. 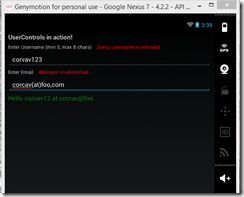 Since we don’t like to repeat ourselves and since this might be a requirement we might also have in future I decided to create a custom control that contains all the validation logic and exposes a set of properties that let me customize the runtime behavior of the control. 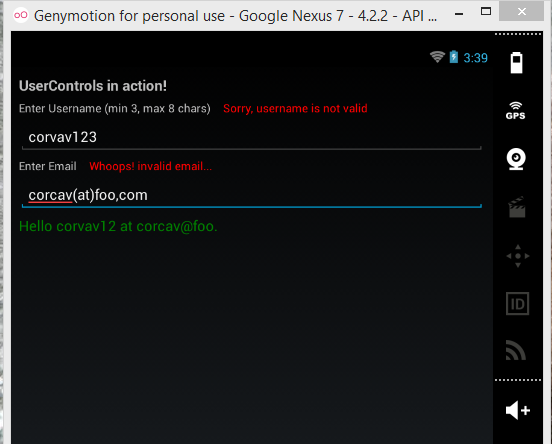 <c:SmartEntry Header="Enter Username (min 3, max 8 chars)"
InvalidText="Sorry, username is not valid"
I’m sure you noted the SmartEntry component that is our UserControl, let’s see how I created it. 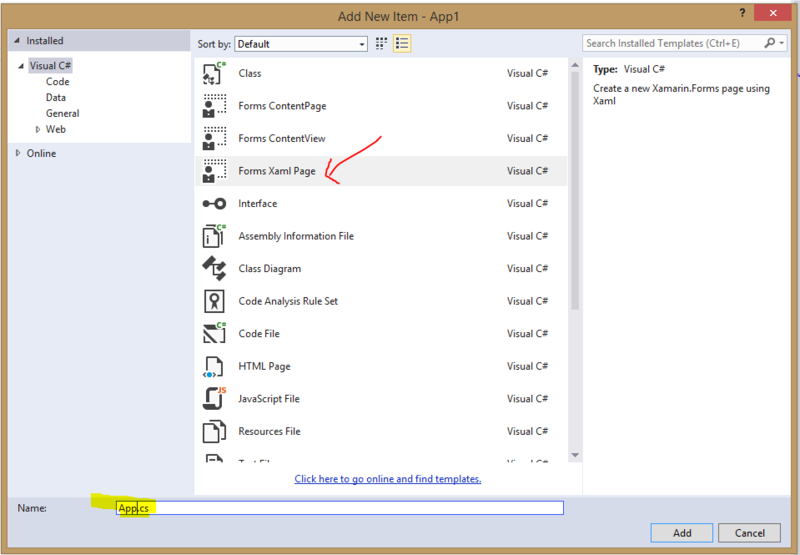 This class just resets default padding added by Frame so that content fills the container and a FindByViewPrivate<T> method that gives us access to private UI element instances created by LoadFromXaml method when it parses the XAML. I’ve added some simple public properties: Min,Max,Header,InvalidText and a BindableProperty Text so that we can bind it to our ViewModel for further processing. 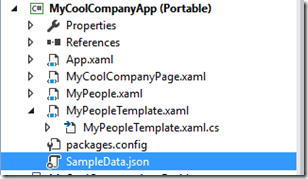 As you see, inside OnTextChanged I use FindByViewPrivate<Entry> to retrieve the proper control instance from the static method. 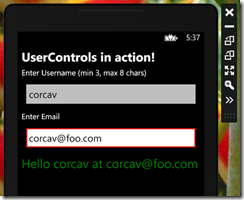 All properties are used inside MainView’s XAML to customize each UserControl differently. 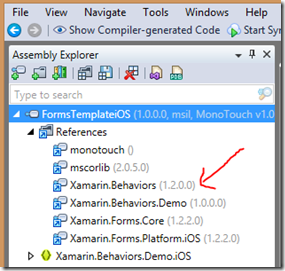 I’ve updated Xamarin.Forms.Behaviors package to v 1.2 to fix an issue reported by alexandremblah (thank you!) 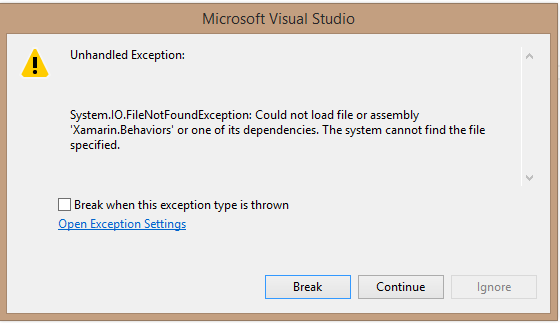 that was preventing the package to work on iOS, the issue was that Xamarin.Behaviors.dll couldn’t be loaded. 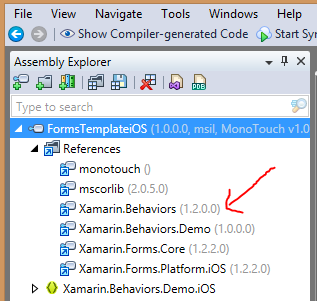 and, as you see, Xamarin.Behaviors dll is missing, that’s the cause of the exception. 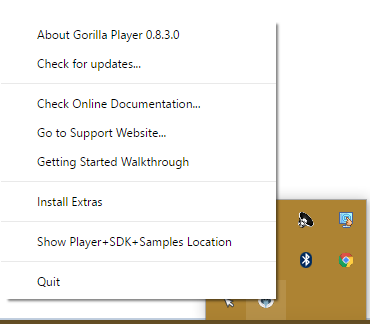 but unfortunately changing Linker option to “Link all assemblies” didn’t fix, probably because all Behavior stuff is handled in XAML which is loaded at runtime, so there is no code using Behaviors types. The only option I’ve found to force iOS linker to deploy Behaviors library is to include some code on iOS project that interacts with some entities in the library, so I’ve added an Infrastructure static class that exposes a Init method that does practically nothing. And inside iOS project you have to add a call to Infrastructure’s Init method. //Added to prevent iOS linker to strip behaviors assembly out of deployed package. 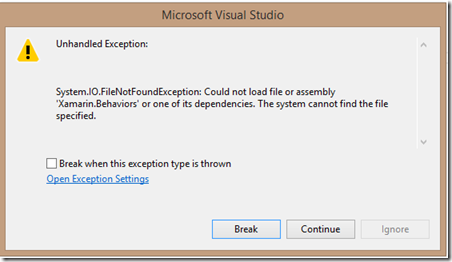 Android and Windows Phone projects don’t require this method invocation. Enjoy and thank for your feedback.